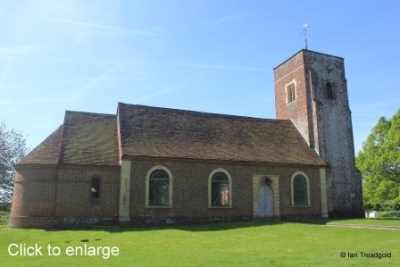 The church of St Mary Magdalene in Whipsnade is situated to the south of the main road in open grassland to the west of the village and zoo. Access is via a rutted track from the road with parking available on the grass. 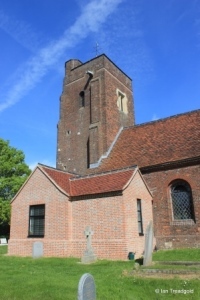 The church consists of a combined nave and chancel with a rounded east end and west tower. 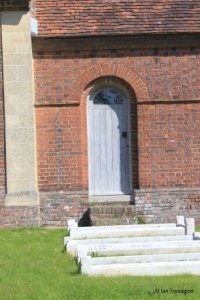 There are unporched doorways to the north and south and new church rooms in the south-west corner. 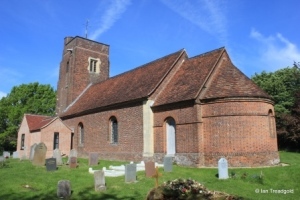 The church is built of brick throughout with tiled roofs. 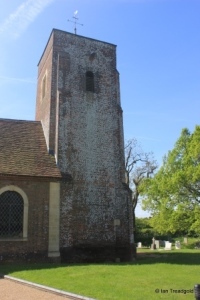 The nave and chancel are around 51 feet by 22 feet with the tower being around 12 feet square and some 35 feet high. Whilst there are records of a church in Whipsnade in C13, the present building dates from C17 when it was rebuilt funded by Thomas Vaux of Whipsnade who served as High Sherriff of Bedfordshire in 1755. 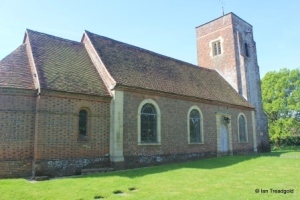 Restoration work in C19 added the chancel and apse and recently the church rooms have been added to the south-west. The main approach is from the north and the north side has a window to the west of the north door and two to the east. 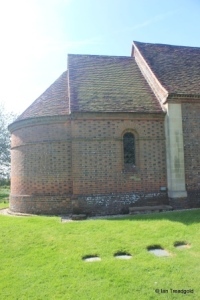 The windows throughout the church are all under plain semi-circular arches with no tracery or individual lights. 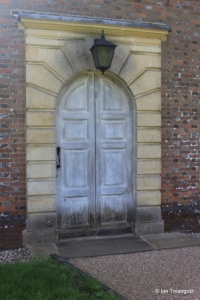 The north door is in clear Georgian and contrasts with the brickwork of the rest of the building. The chancel and apse were around 1860 in a style to match the rest of the building. 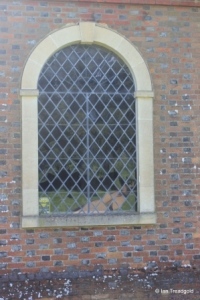 There is a single narrower round headed window on the north side of the chancel. 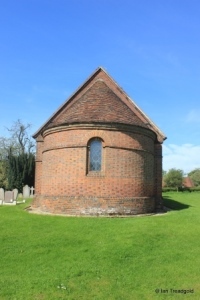 The east end of the church with its rounded apse has a single window like that to the north of the chancel. 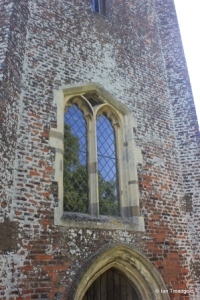 The south side of the church has doorway into the chancel, two windows along the south side and the new church rooms at the south-west corner. 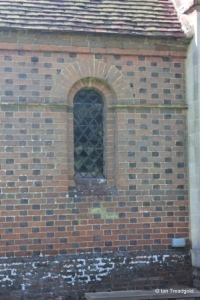 The south door into the chancel matches the style of the windows in the chancel with a simple brick semi-circular arch. The new church rooms incorporate a meeting room, servery and facilities that will in time blend into the rest of the building having been constructed in a similar style. 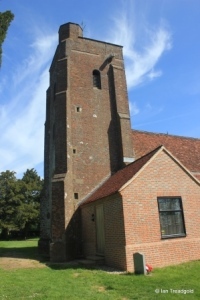 The west tower dates from the late C16 and has an octagonal stair turret in the south-west corner accessed from inside the church. 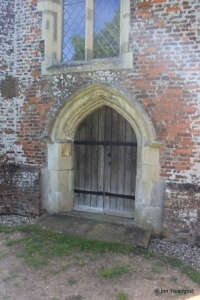 The west door date from the original building and is of C15 origin with the two-light west window being of two cinquefoiled lights. Strangely, the window and door are not aligned with the window offset to the north slightly.